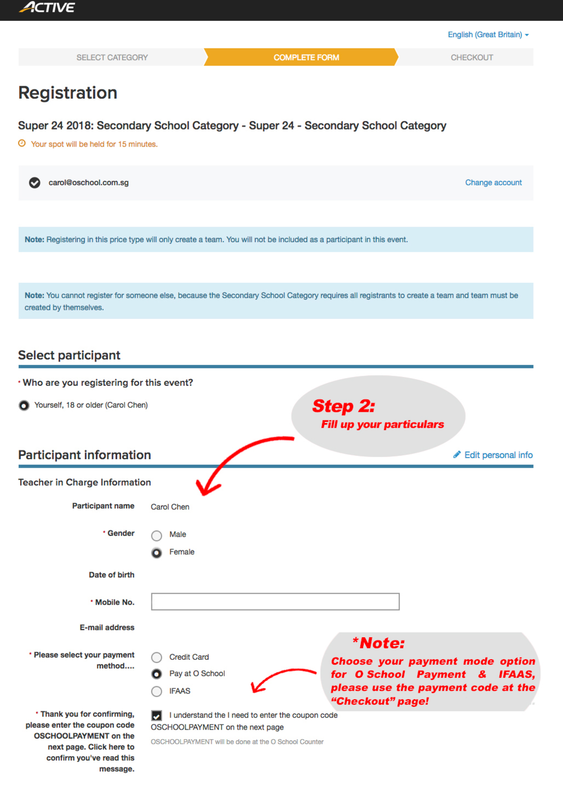 IMPORTANT NOTE: Please read and follow this steps & measures to ensure a successful transaction and registration. Step 1: Insert your email address here. Please indicate your payment method. For O School Payment & IFAAS, please note down the coupon code that WILL BE used in the checkout page. Under check out, insert your password and click 'COMPLETE'. Failure to do so will lead to an INCOMPLETE registration. 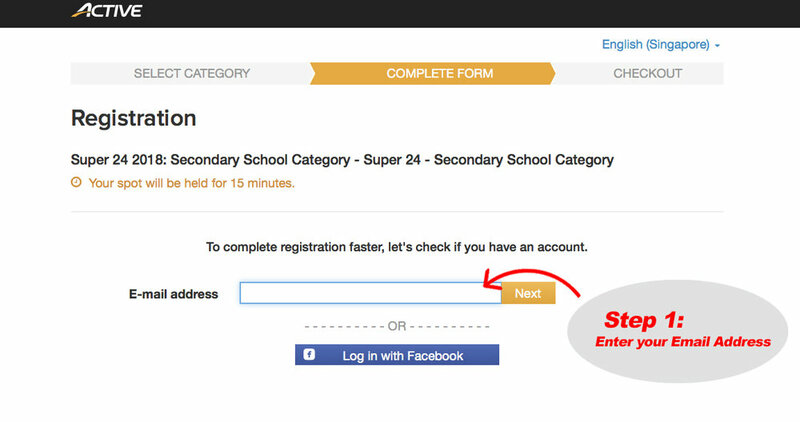 This page will indicate that you have successfully registered for Super 24. Do check your emails for a notification. Registration will be closed on 1 June 2018.